If you must leave Pattaya, then Nana Plaza in BKK is home to many nice attractions. It is conveniently located near the BTS so you can take a bus to Ekkamai and then be there in no time at all. Take the BTS from Ekkamai bus station to Nana station, then it’s a short walk down Soi 4 (nana) to the Nana Entertainment plaza. It is also possible to take a taxi but get them to use the meter since it’s not very far. 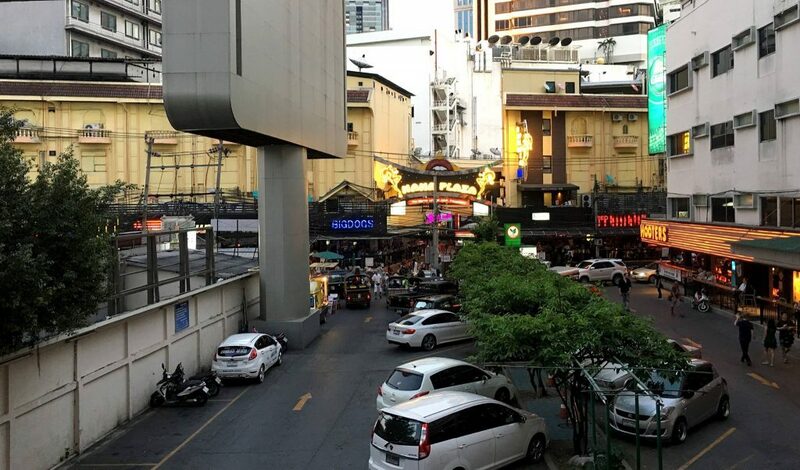 one of the major advantages to Nana compared to Soi Cowboy is that there is a short-time facility on the roof, actually two hotels, one on each side of the balcony. The rooms have showers and are clean. For your 350 baht you get to use the facility for a short time. That means that you can take your bar fine upstairs for a short time without having to leave the building. Very convenient if it happens to be raining in Bangkok or if your hotel is a little far away. The girls also like it as it means they can get back to their bar quickly. watch out for ladyboys hanging around on the balcony, smoking and eating. They will generally leave you alone though. Prices are pretty much what you would expect from Walking street in Pattaya, with 3k ST pretty standard.